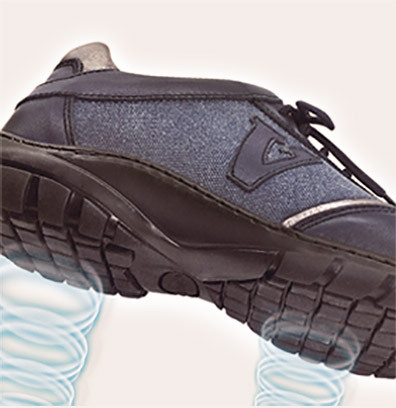 PRESSURE EXERTED BY THE FOOT EXPELS HOT AIR. 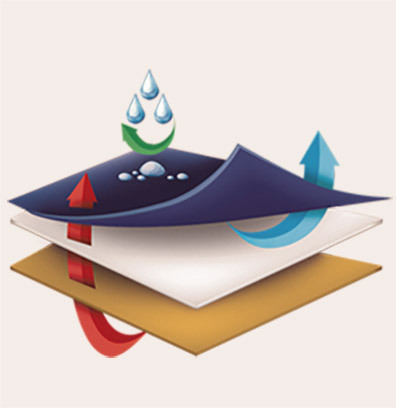 Rubber microwaves, pressed by foot pressure, expels hot air. 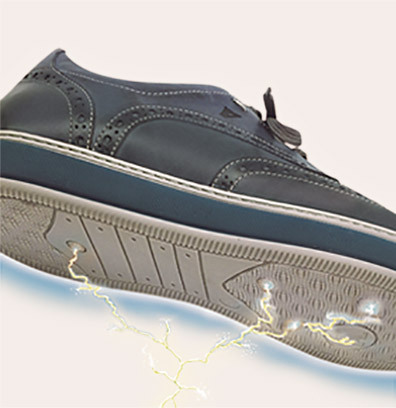 Atmospheric pressure injects new fresh air into the shoe. 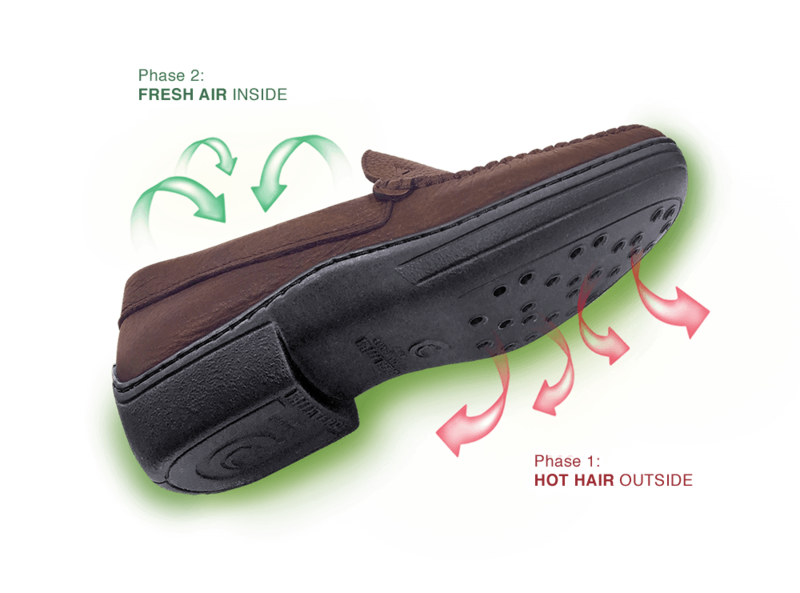 A patented valve system with air conditioning in your shoe.